We’d love your help. Let us know what’s wrong with this preview of The Tale of the Unknown Island by José Saramago. A man went to knock at the king's door and said to him, Give me a boat. The king's house had many other doors, but this was the door for petitions. Since the king spent all his time sitting by the door for favors (favors being done to the king, you understand), whenever he heard someone knocking on the door for petitions, he would pretend not to hear . . ." Why the petitio A man went to knock at the king's door and said to him, Give me a boat. The king's house had many other doors, but this was the door for petitions. Since the king spent all his time sitting by the door for favors (favors being done to the king, you understand), whenever he heard someone knocking on the door for petitions, he would pretend not to hear . . ." Why the petitioner required a boat, where he was bound for, and who volunteered to crew for him the reader will discover as this short narrative unfolds. And at the end it will be clear that if we thought we were reading a children's fable we were wrong-we have been reading a love story and a philosophical tale worthy of Voltaire or Swift. To ask other readers questions about The Tale of the Unknown Island, please sign up. 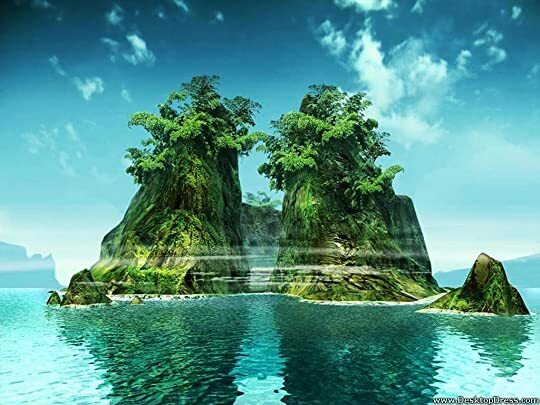 can I download the ecopy of the book entitled The tale of the unknown island? 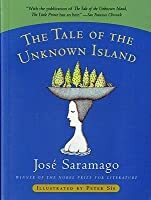 The Tale of the Unknown Island (Portuguese: O conto da ilha desconhecida) is a short story by Portuguese author José Saramago. It was published in Portuguese in 1997, and English in 1999. A man requests the king of his country to give him a boat so he can go in search for "the unknown island". The king questions him about the existence of such an island and tries to convince the man that all islands already appear on maps. The man states that only the known islands do. This debate concludes with the king granting him a boat. A tiny book; 51 tiny pages with illustrations. A fable to be read at one sitting. Boy meets girl. Boy chases girl. Pursue your dreams despite obstacles. The search for the unknown island has particular resonance for a Portuguese author whose ancestors were responsible for the European discov A tiny book; 51 tiny pages with illustrations. A fable to be read at one sitting. Boy meets girl. Boy chases girl. Pursue your dreams despite obstacles. 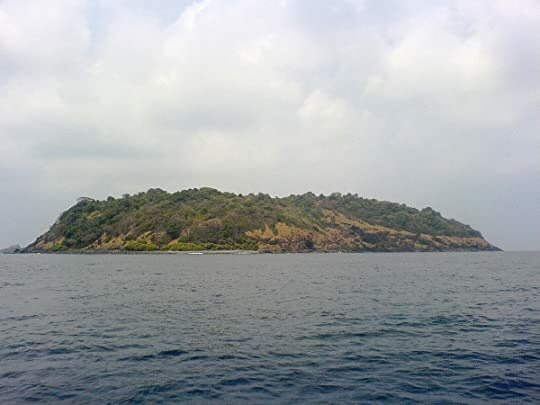 The search for the unknown island has particular resonance for a Portuguese author whose ancestors were responsible for the European discovery of half of the world. "Are there any unknown islands left?" is a theme of the book. ‘Liking is probably the best form of ownership, and ownership the worst form of liking. Saramago had a gift for delivering such potent messages in such a simple manner, focusing a vast array of complex ideas into a simple parable that easily penetrates to your heart. His short story, The Tale of the Unknown Island is no exception, as is brought to even higher heights of fairytale-like beauty with the simple illustrations by Peter Sís. While it would have been best to include this in a collection ‘Liking is probably the best form of ownership, and ownership the worst form of liking. Saramago had a gift for delivering such potent messages in such a simple manner, focusing a vast array of complex ideas into a simple parable that easily penetrates to your heart. His short story, The Tale of the Unknown Island is no exception, as is brought to even higher heights of fairytale-like beauty with the simple illustrations by Peter Sís. While it would have been best to include this in a collection of stories instead of sold on it’s own, this tale is a wonderful parable about looking for happiness and understanding the mysterious ways love works in our world. This story is classic Saramago with all of his talents and motifs on displays. Right away the reader is immersed in the political satire that fleshes out much of his work, as a man comes knocking at the King’s Door for Petitions. ‘Since the king spent all his time sitting at the door for favors (favors being offered to the king, you understand), whenever he heard someone knocking at the door for petitions, he would pretend not to hear’. The story takes off into a wonderful parable about finding happiness as the Man and a runaway cleaning woman, the only one to believe in the man’s quest, embark to discover an Unknown Island. Saramago’s language seems so simple, like a story aimed to be understood and enjoyed by all ages, yet carries a powerhouse of ideas and meaning in his seemingly unthreatening words. A message of love seems best delivered in such a pleasant way. This story caresses the heart and makes one feel the subtle magic of the world that echoes in the beauty of life all around us. The story, while being a joy to read, is a bit too short and feels as if it could have been much greater. There is a lengthy satirical buildup, yet, right when it seems the story could set off towards a wonderful adventure, the epiphany occurs and the story rapidly comes to an end. It is conclusive, but the message comes suddenly and made me wonder if it was originally intended to be a novella. Had he expanded on the ideas, I think this could have been a wonderful tale of double the length. Had this been included in a collection of short stories, the quick conclusion wouldn’t have felt so disappointing. Including this, perhaps, in Saramago’s The Lives of Things (that was a complete work, but I am unaware if Saramago had other short stories this could have been included with) would have given a more satisfactory feel to both that collection and this story. That said, this is still worth reading, and is very uplifting and enjoyable. The world lost a wonderful storyteller when Saramago passed in 2010. He had a unique style, and a sweet simplicity that reminds me of a more intellectual and literary version of Paulo Coelho. This story is a bit too light to stand on it’s own, yet is a satisfying trip into the warm, soothing places in Saramago’s heart. * Bazı ilaçlar vardır, hemen kana karışmaz. Kademeli olarak çözünür ve kandaki yoğunluğu / konsantrasyonu bir sonraki ilaç vaktine kadar sabit kalır. Bu tür ilaçların etkisi uzun sürer. Bazı kitaplar da vardır, kısa sürede okunur ama akıldaki yoğunluğu/etkisi bir sonraki kitaba kadar hep aynı kalır; tıpkı "Bilinmeyen Adanın Öyküsü"nde olduğu gibi. ** Okuyan herkesin farklı şeyler bulduğu bir kitaptır; 9 yaşındaki yeğenime masal niyetine okumuştum, "bazen öyle güç hayallerin peşine düşeriz ki, * Bazı ilaçlar vardır, hemen kana karışmaz. Kademeli olarak çözünür ve kandaki yoğunluğu / konsantrasyonu bir sonraki ilaç vaktine kadar sabit kalır. Bu tür ilaçların etkisi uzun sürer. Bazı kitaplar da vardır, kısa sürede okunur ama akıldaki yoğunluğu/etkisi bir sonraki kitaba kadar hep aynı kalır; tıpkı "Bilinmeyen Adanın Öyküsü"nde olduğu gibi. ** Okuyan herkesin farklı şeyler bulduğu bir kitaptır; 9 yaşındaki yeğenime masal niyetine okumuştum, "bazen öyle güç hayallerin peşine düşeriz ki, burnumuzun ucundaki gerçeklerin farkına bile varmayız" demişti, temizlikçi kadının uzun süre adam tarafından fark edilmemesini kastederek. Bense farklı birşeyler yakalamıştım, "denizci olmayan cesur bir denizcinin, kendini arama cesareti" olarak algılamıştım, tüm olanaksızlıklara rağmen hayallerin peşinden gidilmesi gerektiğini düşünerek. Eminim okuduğunuzda siz de farklı birşeyler yakalayacaksınız; çünkü ucu açık bir masaldır. "Beğenmek, sahip olmanın en iyi şekli, sahip olmaksa beğenmenin en kötü şekli olsa gerek"
"O filósofo do rei, quando não tinha que fazer, ia sentar-se ao pé de mim, a ver-me passajar as peúgas dos pajens, e às vezes dava-lhe para filosofar, dizia que todo o homem é uma ilha, eu, como aquilo não era comigo, visto que sou mulher, não lhe dava importância, tu que achas, Que é necessário sair da ilha para ver a ilha, que não nos vemos se não nos saímos de nós." Sonhar é preciso; para ganhar coragem e sair do conformismo, para ousar partir rumo à incerteza e no desconhecido nos encontrarmos a nós mesmos. Uma deliciosa metáfora, numa narrativa bem ao jeito de Saramago. “A MAN WENT TO KNOCK AT THE KING’S DOOR AND said, Give me a boat." Saramago, kısacık bir öyküyle bir sürü şey anlatmış. Çizimler ise apayrı bir tat katmış! Pat diye bitiverdi.Arada böyle masalsı öyküler iyi geliyor bana. Ancak;yazım dizilişi biraz rahatsız etti beni.Şöyle ki: Cümleler sürekli virgülle ayrılıyor,virgülden sonra büyük harfle devam ediyor karşılıklı diyaloglar.Yeni bir yazım türü mü,yoksa Türkçe esnedi de haberimiz mi olmadı,tam anlayamadım. Yazar belki de orijinalinde bu şekilde yapılandırmış cümlelerini,diye düşündüm. "Kendimizden çıkmadıkça kendimizi görmemiz mümkün değildir." "Kendinden dışarı çıkıp kendine bakmadıkça kim olduğunu asl Pat diye bitiverdi.Arada böyle masalsı öyküler iyi geliyor bana. Kendini aramak amacıyla yazılmış, masalsı bir anlatıma sahip Bilinmeyen Adanın Öyküsü. Düşünmeden okunduğunda sadece bir masal görecekken, alt metinlere dikkat edildiğinde Saramago'nun bilinmeyen adanın aslında ne olduğunu çok güzel bir dille anlattığını görüyorsunuz. Kitapta beni zorlayan tek şey Saramago'nun nokta ve virgülden başka hiç bir imla kullanmayıp, karşılıklı konuşmalarda konuşma çizgisi yada tırnak yerine virgülden sonra büyük harf ile başlayıp yazması oldu. Alışınca güzel gitti ama Kendini aramak amacıyla yazılmış, masalsı bir anlatıma sahip Bilinmeyen Adanın Öyküsü. Kitapta beni zorlayan tek şey Saramago'nun nokta ve virgülden başka hiç bir imla kullanmayıp, karşılıklı konuşmalarda konuşma çizgisi yada tırnak yerine virgülden sonra büyük harf ile başlayıp yazması oldu. Alışınca güzel gitti ama kim kimdi anlamak için dikkatinizi toplamanızı istiyor. Çok keyif aldım. Saramago'nun okuduğum ilk kitabıydı ve son olmayacak. Se lee en menos de media hora. Los diálogos entre personajes están en un mismo párrafo separados por puntos, a veces por comas. Una forma distinta de exponerlos que te hace pensar más a la hora de identificar al portavoz de esas palabras. Sin duda, uno de los efectos que te conquistan del libro. Pocas páginas, pero muy filosóficas. Arenas movedizas para mí, pues no soy la mejor interpretando, pero me quedo con la búsqueda de uno mismo, y que a veces es más importante el camino que haces hacia "la Se lee en menos de media hora. Pocas páginas, pero muy filosóficas. Arenas movedizas para mí, pues no soy la mejor interpretando, pero me quedo con la búsqueda de uno mismo, y que a veces es más importante el camino que haces hacia "la isla desconocida" que la propia isla. This is such a positive short story, and although I realize that sailing in search of the Unknown Island is just a metaphor for self-discovery, it made me want to go sailing too. There are about 1500 reviews that summarize the plot and, since The Tale of the Unknown Island is anyways an allegory, I'll simply skip to the meaning. What is great about José Saramago is that he never lets the reader wonder what he intended to say: "I want to find the unknown island, I want to find out who I am when I' This is such a positive short story, and although I realize that sailing in search of the Unknown Island is just a metaphor for self-discovery, it made me want to go sailing too. There are about 1500 reviews that summarize the plot and, since The Tale of the Unknown Island is anyways an allegory, I'll simply skip to the meaning. 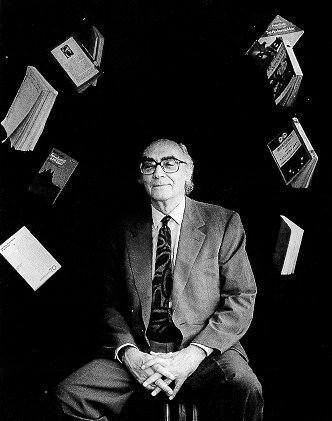 What is great about José Saramago is that he never lets the reader wonder what he intended to say: "I want to find the unknown island, I want to find out who I am when I'm there on that island, Don't you know, If you don't step outside yourself, you'll never discover who you are." So it all boils down to this: in a world in which most people take delight in believing that there is nothing left to be discovered, the greatest mystery and exploration of all is ourselves. To love is probably the best way of having. To have is probably the worst way to love. İnsan içindeyken kendini bildiğini sanır, ama denize açılıp kendini aramadıkça kendini bulamaz. 15 dakikada okunacak bir kitaptır ancak, okuyana kesinlikle vizyon kazandırır. "...bilinmeyen ada nihayet denize açılmış, kendini aramak amacıyla." o adaya ayak bastığımda kim olduğumu öğrenmek istiyorum. kim olduğunu asla bilemezsin." . ✳️ José Saramago Körlük kitabıyla insanlığın var olan güncel duyarsızlık hastalıklığına darbe vuran muazzam insan Portekiz Edebiyatının en önde gelen Nobel ödüllü yazarı her ne kadar ben Fernando Pessoa etkisinde daha fazla kalsamda yazın ustalığında Saramago'yu daha çok beğeniyorum noktalama işaretlerindeki kullanım sadeliğinden sözleri kullanma becerisine kadar cidden çok başarılı bir yazar özellikle bu kitabındaki diyalogların iç metin halinde verilmesi çok hoş bunun en iyi fark edecek olanlar Oğuz Atay okurları olur düz yazı halindeki metinde karşılıklı konuşmaların akıcılığını sağlayabilmek bir edebiyat becerisidir kısa öykü kitabı olan bu kitap da pek sık olmasa da kitaplarda okura pay bırakmak ne güzel bir şey öykü kitabının var olan sade dili her okur kitlesine hitap etmekte basit sözcüklerle derin felsefeler yaratan yazarların çok okunmasının nedenlerinden biri de bu herkes kendi birikimine göre sonuç çıkarabiliyor ve kimse kitabı bitirdikten sonra anlam arayışı için manasız yorumlara gitmiyor kısa, hoş ve masalımsı kolay okunan bir hikaye sadece Jose Saramago'yu yeni okuyanlar için diyeceğim kendisi nokta ve virgül haricinde işaret kullanımını tercih etmez o yüzden bütün metinleri göze düz yazı gibi görünür o yüzden kitabın derinliklerinde kaybolmak için bundan sıkılmamak gerekir. Nunca ter lido nenhuma obra de José Saramago era uma grande falha minha. Medo, receio de não me adaptar ao seu género de escrita e porque não me sentia atraída para as suas obras alimentavam a minha resistência em ler as suas obras. Penso que, acima de todas estas questões, era o receio de me cruzar com narrativas difíceis, sem pontuação e acabar por não perceber. Ao fim desta primeira leitura, acho que me enganei. Para colmatar esta minha falha e ter uma primeira experiência com o autor decidi c Nunca ter lido nenhuma obra de José Saramago era uma grande falha minha. Medo, receio de não me adaptar ao seu género de escrita e porque não me sentia atraída para as suas obras alimentavam a minha resistência em ler as suas obras. Penso que, acima de todas estas questões, era o receio de me cruzar com narrativas difíceis, sem pontuação e acabar por não perceber. Ao fim desta primeira leitura, acho que me enganei. Para colmatar esta minha falha e ter uma primeira experiência com o autor decidi começar por um conto. É uma obra mais pequena e achei que era o ideal para me familiarizar com a escrita do autor e ver como me sentia com a leitura. Como esperava, encontrei pouca pontuação. Os diálogos não estão assinalados, há muitas vírgulas, muitos diálogos misturados com pensamentos... mas isso não interferiu com a minha compreensão da obra nem com a minha perceção acerca do desenrolar dos acontecimentos. É engraçado constatar que, enquanto lia, eu ia fazendo a pontuação na minha cabeça, tornando a leitura bastante fluída e agradável. A escrita é muito bonita. Em cada palavras sentimos a sensibilidade do autor e a sua capacidade de nos colocar a pensar sobre a história, as personagens, o mundo e sobre nós próprios. A narrativa d'O conto da ilha desconhecida é um verdadeiro convite à reflexão. Deixa-nos a pensar sobre a sociedade, naquilo que os outros esperam de nós e de que forma somos vistos quando ousamos abraçar a aventura, o pensar "fora da caixa". É um conto que me levou a explorar no meu interior a importância de pensar diferente, explorar aquilo em que acreditamos e não deixar de perseguir os meus sonhos. Só não consigo atribuir uma pontuação mais elevada porque achei que terminou de forma muito abrupta. Estava tão submersa na narrativa que senti que acabou demasiado depressa. Queria mais, queria continuar embalada por aquelas palavras e por aquela sensibilidade. Üstad Saramago'nun Körlük ve Görmek kitaplarını okumuştum daha önce. Çok iyiler (Özellikle Körlük)! Bu kitabın dili, havası tamamen farklı. Masalsı bir anlatımı var. Minnacık bir öykü anlatılan ama, ince eleştirel yaklaşım ve satır aralarındaki didaktik havayla, dopdolu hissettiriyor. Sonu o kadar tatlı bağlanmış ki, bayıldım. Özellikle sonuyla beklentimi karşıladı. Küçük Prensvari, çocuk kitabı sanırsınız ama çocuk kalbini kaybedip bulamayanlar için antibiyotik niyetine okunmalı. Yine seni çok b Üstad Saramago'nun Körlük ve Görmek kitaplarını okumuştum daha önce. Çok iyiler (Özellikle Körlük)! Bu kitabın dili, havası tamamen farklı. Masalsı bir anlatımı var. Minnacık bir öykü anlatılan ama, ince eleştirel yaklaşım ve satır aralarındaki didaktik havayla, dopdolu hissettiriyor. Sonu o kadar tatlı bağlanmış ki, bayıldım. Özellikle sonuyla beklentimi karşıladı. Yine seni çok beğendim Saramago! "Kendinden dışarı çıkıp kendine bakmadıkça kim olduğunu asla bilemezsin. " "Beğenmek, sahip olmanın en iyi şekli, sahip olmaksa beğenmenin en kötü şekli olsa gerek. " Li este conto para começar a ler Saramago e gostei bastante...um conto pequeno mas que está carregado de lições para a vida!! Büyülü bir anlatım... Masalsı bir öykü. Zaten uzun öykü diye geçiyor ancak yinede o kadar uzun sayılmaz. 52sayfa. Bir çırpıda okunup bitiyor. Oldukça sosyal mesaj içerikli bir kitap olmuş. Özetle bir adam varmış. Saraya gitmiş. Sarayın 1000 tane kapısından "dilekler kapısının" önünde sıraya girmiş. Beklemeye başlamış. Sıra ona gelince kapıyı temizlikçi kadın açmış. 1.Devlet siz bişey istediğiniz zaman karşınıza en yetkisiz adamı çıkartır ki "beyfendi benim yapacak birşeyim yok desin. Adam aslında bir tekne istiyormuş ama kapı açılınca t Zaten uzun öykü diye geçiyor ancak yinede o kadar uzun sayılmaz. 52sayfa. Bir çırpıda okunup bitiyor. Adam aslında bir tekne istiyormuş ama kapı açılınca temizlikçi kadına sadece krali görmek istediğini söylemiş. 2. Herkesin sorduğu soruyu sorarsan herkesin aldığı cevabı alırsın. Farklı olmalısın. Doğru soruyu sormalısın. Temizlikçi kadın şefine o müdürüne, o amirine, o vezire aktarmış bu dileği. en son kral reddetmiş tabi ki kapıya inmeyi. hem o kim oluyor ki kralı ayağına çağırıyor değil mi? 3.Devlet size her zaman tepeden bakar. Kralın red cevabı once vezire ordan ona ordan ona en son temizlikçi kadına ve ordanda bizim adama gelmiş. 4. Devletin klasik oyalama taktiği işte neyini açıklayayım. Ama adam yımamış ve kral gelinceye kadar beklemiş kapıda yorgan döşek. Tabi böyle oluncada homurdanmalar başlamış. sırada bekleyen onlarca adam var daha. İşte bu homurdanmaları duyan Kral kendisine verilen hediyelerle ilgilenmeyi bırakıp dilekler kapısına inmek zorunda kalmış. 5. Birlik olun hep bir ağızdan tek bir ses çıkarın. Böylece Kral ayağınıza gelsin. 6. Küçük mesaj: Krallar bizden topladıklarıyla takılırken siz açlıktan ölürsünüz. Bu iş böyledir. Adam Kral'dan tekne istemiş bi tane. Kral vermem demiş. Verirsin vermezsin darken kalabalık gene homurdanmaya başlamış. Sonuç gene olumlu. Yeter ki Kralın otoritesi sarsılmasın. Adam tekneyi koparmış kraldan. Gitmiş rıhtıma. Donanma amirinden teknesini istemiş. Bu sırada da peşinde temizlikçi kadın. Almış teknesini. Hayali bilinmeyen, henüz keşfedilmemiş olan adayı bulmakmış. Ama bir kendisi birde temizlikçi kadın, koca gemiyle nasıl açılacaklar denize. Tayfa toplayayım demiş. Herkes buna gülmüş. Sen manyak mısın, ada keşfedecem diye denizemi açılınır diye. Böylece açılamamışlar. Küçük prens tadında masalsı ve bir o kadar da ayrıntı barındıran bi kitaptı. -Kral karakteri,halkın dilek kapısına muhtaç olmasıyla karşılaşan zorluklar ve halkın bir olmasının önemi gibi durumları gerçek hayatla bağdaştırdım. '...birazdan güneş batacak ve adam karnı açlıktan kazınarak tekneye gelecekmiş,çünkü işten evlerine dönen erkekler, midesi olan ve karnını doyurması gereken varlıkların sadece kendileri olduğunu z Küçük prens tadında masalsı ve bir o kadar da ayrıntı barındıran bi kitaptı.